This freebie is for all the kids participating in the Father's day competition organized by Boomf. 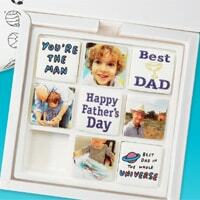 Create anything special for Father's day and send them the design pictures. If selected, you will be sent a box of Boomf marshmallows. Click on “GET IT HERE” button and then follow the detailed instructions that are given on next page.